That’s right, folks! Meredith Duran has graciously offered a copy of her newest novel, Written on Your Skin, to two lucky winners here at AAR. To enter for your chance to win, just comment below. Given that this novel opens in Hong Kong, if you list your favorite romance set outside of England in your comment, your entry will count twice. The contest is open from July 31, 2009 until 5:00 p.m. EST on Tuesday, August 4, 2009. Good luck! Would love to win a copy of your new book. Just finished reading Bound By Your Touch and loved it. My favorite is Duke of Shadows and it’s locale. Keep writing great books! I would love to win a copy! 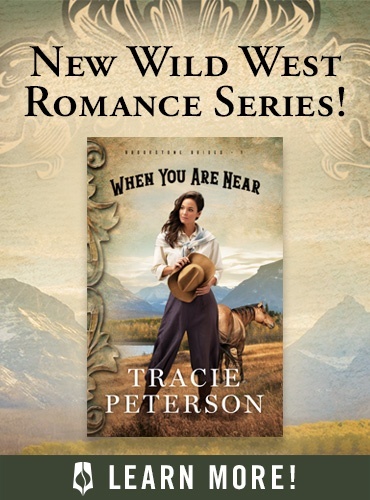 One of my favorite romances set outside of England is Whispers of Heaven by Candice Proctor, set in Tasmania. I haven’t read anything by this author yet. I’d have to say that one of my favorite romances set outside of England is The Wind and the Sea by Marsh Canham. I’m 30 pages from finishing Duke of Shadows and am so glad I have Bound by Your Touch waiting for me afterwards! I’m thoroughly enjoying her writing. My favorite novel outside of England is Texas Destiny by Lorrain Heath. The title of this book is very intriguing! I’d love to read it. One of my favorite romances not set in England was by Barbara Cartland (yes, really! ), written back in the 50s, titled “”Desire of the Heart”” that takes place mostly in Paris, France. I don’t know if this counts, because the beginning and the end of the book take place in England, but it’s worth a try! I really enjoyed Bound by Your Touch so would love to win this one. Venice is a favorite setting of mine although I’ve only read a couple of books set there. I would love to win a copy and take part in the fun! Historicals are not necessarily my go-to choice of genre so I the only ones I can think of that were set outside England were Mr. Impossible by L. Chase and If You Desire by C. Brockway. I’ve loved both Duke of Shadows & Bound by Your Touch, I am so looking forward to Written on Your Skin. Other than India for a location, I’d have to say Egypt – Loretta Chase & Mr. Impossible. The hero and especially the heroine of this one sound really intriguing–all the more so because her strengths seem true to the historical period. I enjoy tough, smart heroines but not quite as much when their actions set off my Anachronism Alarm. My favorite, set-out-of-England historical romance is Elizabeth Chadwick’s The Falcons of Montabard, set in Palestine during the Crusades. Heat, dust, olive groves, fountains, castles, battlefields, a bad-boy hero who grows into an amazing man, and a heroine who was always amazing, in her quiet way. I reread it at least once a year. I cannot wait to read this book! I love when new authors sort of just burst onto the scene and then have a few books out in a relatively short amount of time. Venice has always seemed very romantic to me, although I’ve never been outside of North America. I’ve only read one romance that I can recall that took place there, though, and unfortunately it was ages ago and I don’t recall the title/author of the book. Sorry! I *really* enjoyed Duke of Shadows and am very excited because Bound By Your Touch just arrived yesterday. 🙂 My favorite romance set outside of England (and one of my favorite romances period) is As You Desire by Connie Brockway. Well, I’m a sucker for HPs set in Australia or New Zealand. The Shadow and the Star is one of my favorite romances. It starts in England but ends up on one of the Hawaiian islands. I loved Lord of Shadows but loved Bound by Your Touch even more! I have to assume Written on Your Skin is even better! I really appreciate your ability to tell a great story with excellent prose. I loved Bound by Your Touch, I’ve got Duke of Shadows in reserve for a plane ride next week. Favorites not set in England… I’ll go with TJ Bennett’s Legacy set in Germany and Loretta Chase’s Mr. Impossible with it’s Egyptian setting. I am so excited to pick up this book–my fave bookstore is holding it for me until I can get it tomorrow. I am always fascinated by books set in Australia or New Zealand. Essie Summers always wrote fun books set in New Zealand and I actually have all of her books except 2!! Bound by Your Touch was wonderful!! My favorite romance set outside England is Dance by Judy Cuevas. I can’t wait for Written On Your Skin. this book sounds fun! thanks for running the contest! oooo! This sounds like a great historical! I’m in! i’d love to win this, thanks for having the contest!! my all-time favorite romance outside england is the far pavilions by mm kaye! Adding my praise to Bound by Your Touch as an excellent read. A wonderfully fresh voice in historical romance. Can’t wait to read Written on Your Skin! I have heard wonderful things about this one and Bound by Your Touch. Thanks for the chance to win Written on Your Skin. One of my favorite books that took place outside of England is Your Scandalous Ways by Loretta Chase. It takes place in Venice. Thanks for the contest and giveaway. I would love to win a copy of this book. My favorite book outside of England is Your Scandalous Ways by Loretta Chase. Can’t wait to read “”Written on Your Skin.”” One of my favorite books set outside of England is Marianne Stilling’s “”Arousing Suspicions,”” which is set in San Francisco. I ordered Duke of Shadows (mistakenly ordered two copies, and donated the other to my library), but haven’t read it yet. It is on the top of my TBR pile. But from the rave reviews on all Meredith Duran’s books, I need to free up an entire week of non-stop reading, because I’m sure I’ll want to hop from one book to the next and won’t want to put them down! My favorite books set outside of England are Candice Proctor’s Australian-set historicals, NIGHT IN EDEN & SEPTEMBER MOON. Ah, missed the fav romance outside of England part. Gotta be Kathleen Woodiwiss’ Ashes in the Wind. She was the first romance author I ever read and the reason I fell in love with romance. AITW was a post-civil war story and part of it was set in MN, where I lived at the time. So it really connected with me. SInce you didn’t specify historical…. Faking it, by Jennifer Crusie. Yes it’s a contemporary set in the US. Is this cheating? I just read the Book Club piece on this book and it looks rather interesting! I also wonder about the contemporaries set in the US as being cheating…but if it’s not, then “”To The Ends of the World”” by Elizabeth Lowell would have to be it. I don’t usually buy brand-new books, but based on the high recommendations here I bought Duke of Shadows and Bound by your Touch. Unfortunately I haven’t had time to read them.I still would love to have a copy of Written on your Skin. An old favorite set in India is Zemindar by Valerie Fitzgerald. I would love to win Written on Your Skin. One of my favorite books set outside of England is Not Quite a Husband by Sherry Thomas which takes place in India. too many to choose from…but i think i will go with Mr.Impossible by Loretta Chase, set in Egypt! As You Desire by Connie Brockway is one of my keeper novels and is set in Egypt! I have not read books by Meredith Duran as yet and am looking forward to doing so. it is always exciting to learn of the cultures of different countries. Historicals are like time traveling to eras long ago….SIGH. And of course the romantic side of stories are an added plus. I would love to win “”Written on Your Skin””, it sounds yummy. 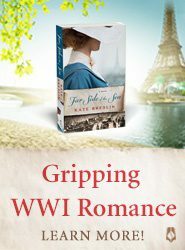 Margaret: Would love to win a copy of your new book. Just finished reading Bound By Your Touch and loved it. My favorite is Duke of Shadows and it’s locale. Keep writing great books! This book sounds wonderful and I’d love to win it!! My favorite setting for a historical outside of England is the Old West!! I love to read about gunslingers, cowboys, etc.!! Well in my previous comment, I didn’t mention a title or author! Elizabeth Lowell wrote about 6 or 7 historicals that were terrific! The “”Only”” series had 4 books, and then she had 2 more, Autumn Lover and Winter Fire, she had one more but the name escapes me. These were all connected and set in the Old West. This book sounds fasinating. I have never read your books before. My favorite settings outside of England would have to be anything set in Texas. I love reading the western historical set in Texas. Not entering contest as I just finished reading this one; loved, loved it, even more than Bound which was also a top read. Good luck everyone, and buy it if you don’t win, not to be missed. Another favoire of mine outside of England – As You Desire by Connie Brockway. How am I supposed to pick just one? Mr. Impossible by Loretta Chase. Texas Destiny by Lorraine Heath. The Indiscretion by Judith Ivory. I really enjoyed “”Bound By Your Touch”” and am looking forward to reading the books that follow. My favorite book set outside of England would be “”When Strangers Marry”” by Lisa Kleypas. I’d love to win a copy so I can try Meredith Duran. As for romances set outside of the UK, not sure if US counts, but I think my favorite is probably Susan Elizabeth Phillips’ Chicago Stars books, especially This Heart of Mine. If US doesn’t count, I’d have to go with the Harlequin books set in Australia. Can’t think of a particular one right now, but they’re usually a good enjoyable read. My favorite is Fire and Ice by Anne Stuart that’s set in Tokyo. Great contest! A book that I loved that was’nt set in England is Silken Captive by Julia Fitzgerald. Thoroughly enjoyed Bound by Your Touch and am looking forward to her new story. I have an Australian son-in-lay and a half Australian granddaughter so I like reading stories about that country. I’ve asked my bookstore to order Duke of Shadows for me. Outside of England I loved Mr Impossible and am a huge fan of all the Gabaldon novels. My 2 favorite out of England books are Outlander and Shadow of the Moon – which is why I loved Duke of Shadows. Looking forward to the new one. Keep up the good work (and please continue the out of England sites). It was hard to bring it down to just two. I agree about the Outlander series. My other picks are Parting Gifts, set in 1880s Texas ( a wonderful two hankie book) and Shards of Honor set in outer space in the future, Aral and Cordelia are wonderful older characters. I really enjoyed Bound By Your Love and I can’t wait to read Written On Your Skin. Mr. Impossible by Loretta Chase and the Dennehy Sisters series by Jo Goodman which take place in different parts of America. What a coincidence, I just ordered Duke of Shadows and Bound by Your Touch… and of course I would love to win the next one. It’s getting boring, but my favorite historical outside of England is also Mr. Impossible by Loretta Chase. I loved Outlander and also Into the Wilderness by Sara Donati. I’ve been really wanting to try something by Meredith Duran, since I’ve heard great things! Phin was very intriguing in BBYT so I would love to win this! Add me to the many fans of Mr. Impossible. It may be my all time fave of all romance books I have read. My favorite outside of England would be NIGHT IN EDEN by Candice Proctor This one was set in Australia. Its of of my favorite reads and I was so taken by this book emotionally too. I really recommend this one! I’d love to be in for Meredith’s book. Thank you! Scotland is always my place of choice! Would love a chance to win Meredith’s book. Some of my favorite romances set outside of England are Outlander and Not Quite a Husband. I’ve loved reading Bound By Your Touch and very much anticipating Written on your skin !! Count me in! I loved Duke of Shadows and can’t wait to read this book. I loved Bound by Your Touch. Please include me in running for Written on Your Skin! 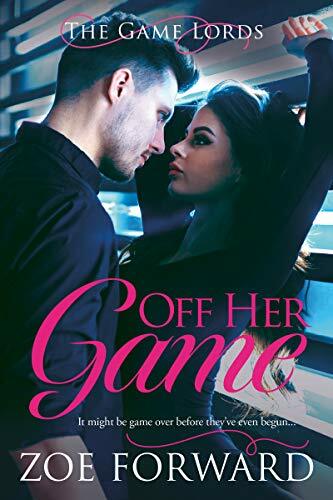 My favorite books in other locations are Lessons in Desire by Madeline Hunter which takes place in Italy, and Not Quite a Husband by Sherry Thomas which is partly set in India! I love exotic locations! I like Outlander, too. Also The Spymaster’s Lady, the beginning of which was set in France. I also like uncommon locations, even if the story isn’t as great as I’d hope. It’s nice to hear about different people and places. I like to read stories set in Australia. I am an avid reader and will read a book no matter the location. My favorite is Veils of Silk by Mary Jo Putney which takes place in central Asis during the time of the Raj and “”The Great Game””. outlander is one of my favorite books of all time. since it is set in scotland, france, and america (well, the series is at least) i guess that counts as outside england! Outside England … ‘Saving Grace’ was Scotland, and one of the first romances I read. I too am a big Gabaldon fan! Read all of the books and waiting for the next one to be released! Also, like Sara Donati quite a bit. Since if there was EST at this time of year, it would be 4:47pm, I’m happy to get in my comment. Michelle’s books are provocative and exciting. I loved “”Bound by Your Touch””. It gave me a lot to think about as I read. I know I’ll enjoy (What a tame word!) her other books. My favorite book that took place in another country was “”The China Bride”” by Mary Jo Putney. Actually, “”Her Scandalous Ways”” by Loretta Chase gives it a run for its money. The books are very different, but excellent in every way!